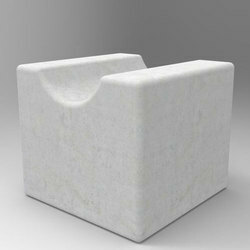 We are supplier / stockist / distributor / manufacturer / dealer / wholesaler of cement blocks for saria in ludhiana punjab. USED IN CONSTRUCTION FOR REINFORCEENT & COVER 25/30/35MM. We are manufacturer / supplier / dealer / stockist of cemented Cover blocks (gitt)i to support saria in Lenter by krishna cement. We are passionately engaged in providing our clients with a wide range of Cement Concrete Block. Our provided blocks are used for the construction of houses, offices, shopping malls and other places. Precisely processed with the use of qualitative basic material, these blocks are also properly checked against several parameters by our quality auditors. Taking quality as our principal concern, we are betrothed in presenting an excellent quality of Cement Cover Block. 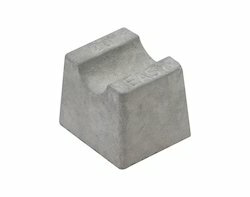 Cement Covering Block, Size: 9 In. X 4 In. X 3 In.